The redevelopment of 14 tennis courts and complementary ground works, including replacement of court perimeter fencing, will ensure Traralgon Tennis Centre can continue to attract and host major events and improve use for the local community. 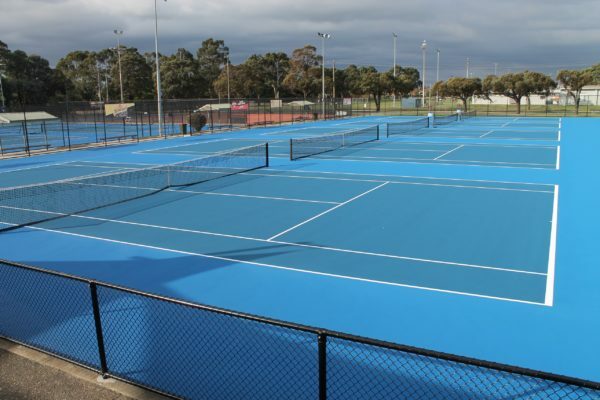 Traralgon’s world class plexicushion tennis surfaces will be revamped with new top layering and line-markings to ensure the facility can accommodate internationally significant events and provide high quality facilities for local tennis players. 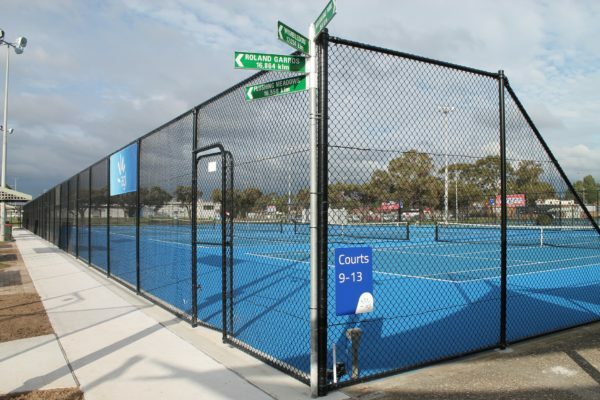 The $400,000 Traralgon Tennis Centre redevelopment was completed on time and to budget in May, 2018. The redevelopment of 14 tennis courts and replacement of court perimeter fencing ensures Traralgon Tennis Centre can continue to accommodate internationally significant events and provide high quality facilities for local tennis players. A number of local jobs were created through the project, with Morwell-based contractor Dynamic Industries leading the re-fencing project, using locally sourced steel and subcontractors. Already home to the annual AGL Loy Yang Traralgon International and ATP Challenger tournaments, the club will now be in a strong position to bid for even bigger events – up to and including Davis Cup and Federation Cup ties – strengthening Gippsland’s claim as the regional sporting capital of Victoria.